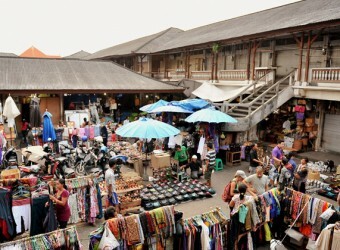 Ubud market is located in the central Ubud, in front of Puri Saren Palace. There are full of stores in 2-stories building. Mainly, most of the stores sell folk pieces and general staffs of Bali, and also they sell Ata bags that are good to use in summer and silver accessories, etc. Some stores sell fruit but the number of the store is small, so there is no special smell of market. It was the first time for me to go there, the old ladies in the market can speak Japanese a little. LOL I was surprised. People can buy at the price depend on the price negotiation. I bought a lot of accessories. It was the first time for me coming here. Old women in the market speak a little Japanese.LOL I was surprised to see that. We must bargain and negotiate to get better price. I bought accessories here.